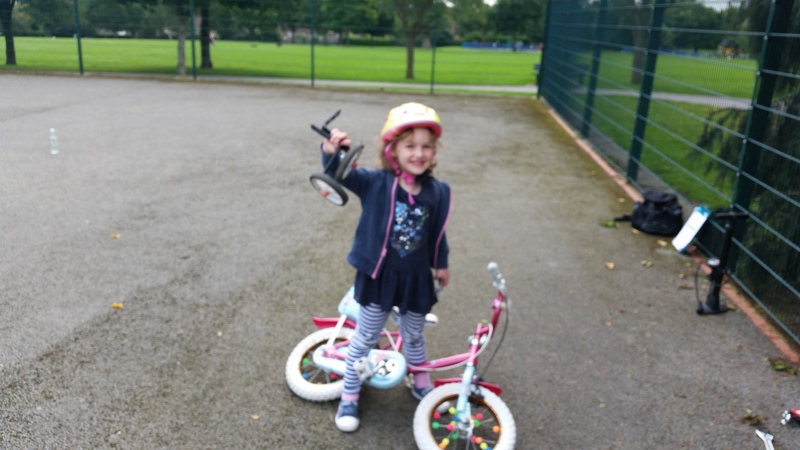 The best way to learn to ride a bike is defiantly without the use of stabilisers, we have helped many young children to ditch the stabilisers. Everyone learns to cycle at a different pace and there is no set time scale so be patient you will get there! Why we don’t recommend the use of bikes with stabilisers, even for a short period? Children get used to having their feet in the wrong position and it takes longer to learn to pedal without stabilisers, because they’ve got into a bad habit. For a child who isn’t yet ready to pedal unaided, we recommend a balance bike – this is a bike without pedals. A balance bike is used to teach the child how to scoot and to balance. Once they have mastered scooting they will usually be ready to pedal in a short space of time. We have balance bikes available to borrow for training sessions and group rides. Alternatively it is possible to scoot using a regular bike with pedals, or you can remove the pedals using a pedal spanner. This effectively converts the bike to a balance bike, and you can put the pedals back on when the child is ready to pedal. 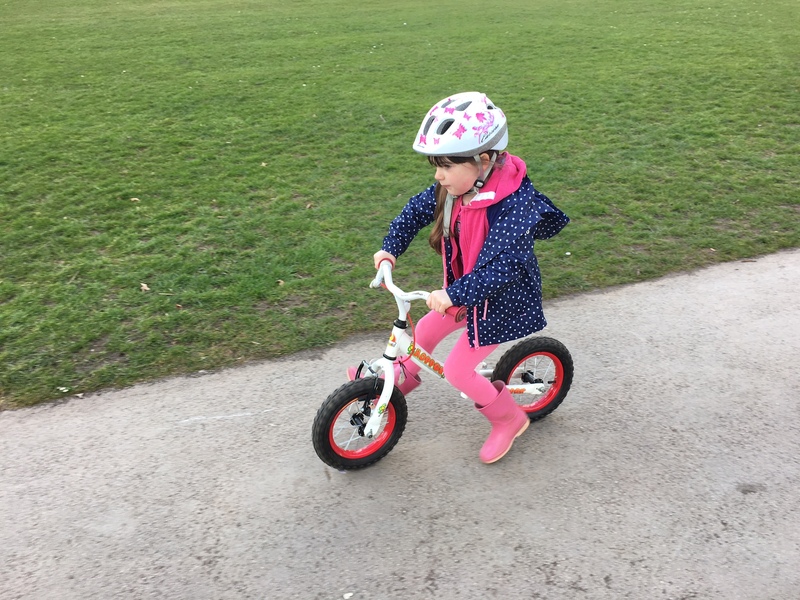 push hard on the pedals, keep the pedals moving, and cycle quickly – left to their own devices on a bike with stabilisers, most children will get into the habit of turning the pedals slowly, and a little at a time; which will prevent them from getting their balance when they attempt to pedal without stabilisers. We run regular cycling tuition for children and adults. Click here for more information and dates for sessions coming up.